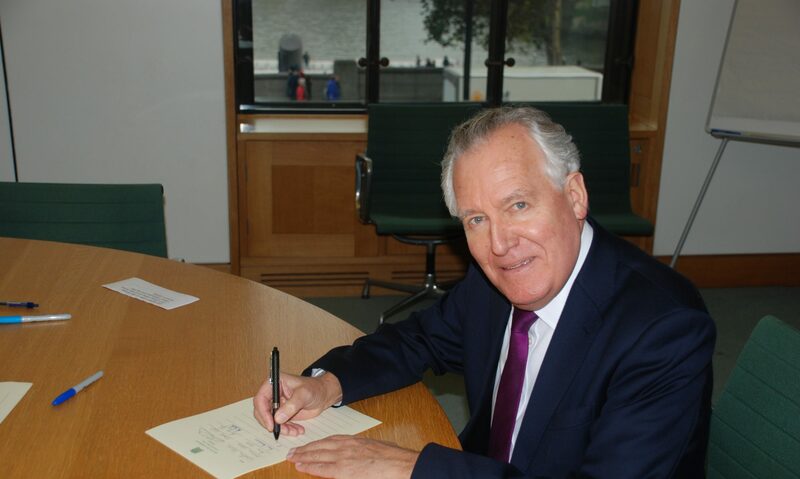 A Labour Member of Parliament for 24 years and Government Minister for 12 years, with over five decades of experience in politics, Peter Hain’s childhood was spent in apartheid South Africa, a period that came to an end when his parents were forced into exile in 1966. A leader of the Anti-Apartheid Movement and the Anti Nazi League in Britain during the 1970s and 1980s, he obtained degrees at Queen Mary College, London, and Sussex University. He was Labour Parliamentary candidate for Putney from 1981 to 1987, having been a Young Liberal until 1977. Author of 20 books, including his memoirs Outside In (2012), a popular biography of Nelson Mandela, Mandela (2010), Ad & Wal: values, duty, sacrifice in apartheid South Africa (2014) and Back to the Future of Socialism (2015), he has written numerous pamphlets, newspaper articles, & regularly appears on radio and television, as well as being an experienced public speaker. Married to Elizabeth Haywood, and with two sons and five grandchildren, he is a keen football, rugby, cricket and motorsport fan. Peter was first elected Member of Parliament for the constituency of Neath in a by-election in 1991 and stood down in 2015. Peter was a Labour Government Minister for 12 years between 1997-2008 and 2009-2010, first as Welsh Minister, then, Foreign Office Minister, Energy Minister, Europe Minister until he joined the Cabinet from 2002 as Secretary of State for Wales, a post he subsequently held as Leader of the Commons, Secretary of State for Northern Ireland, and Secretary of State for the Department of Work and Pensions. Led the successful 1997 referendum campaign and subsequently took through the far reaching 2006 Government of Wales Act granting full law making powers to the Welsh Assembly. As Africa Minister proposed and negotiated an international treaty to block the trade in blood diamonds to fuel civil wars, and chaired and regularly attended meetings of the United Nations Security Council. As Middle East Minister supported negotiations to achieve an independent Palestinian state and a secure Israel. As South Asia Minister, promoted negotiations with the Tamil Tigers to end the bloody war in Sri Lanka. As Europe Minister, he was applauded as the most influential European Minister of his peers. Author of Practical Europeanism, a collection of speeches to reconnect the institutions of Europe with its citizens, and make the case for Europe. Actively engaged on negotiations to end the conflict in Cyprus and promote reconciliation over Western Sahara. Government representative in the negotiations in the Convention on the Future of Europe which produced an outcome French, German and Spanish newspapers reported as “Hain and Britain win”. As Energy Minister radically revamped and reformed the miners compensation scheme for sick former miners with chronic lung disease and vibration white finger to help produce total multi billion payouts. Prioritised green, renewable energy in a way not done before. Took steps to modernise the House of Commons including, promoting sensible sitting hours, reforming outreach work to schools and young people generally and abolishing ‘strangers’ (i.e. visiting citizens to the Commons) as an acceptable term. Worked and negotiated tirelessly to secure a lasting political settlement with bitter old enemies sharing power in a new devolved government from May 2007. This involved both establishing good working relationships with all sides and being tough about deadlines and the necessity to take clear decisions. On his watch, the IRA ended their armed campaign, de-commissioned their arsenal of weapons and Sinn Fein has signed up to support policy and the rule of law – all momentous events paving the way to a permanent political settlement to the age old conflict in Ireland. Introduced major policy reforms, like the abolition of the eleven plus exam, help for those on low incomes with their water bills, investment in green energy and banning discrimination on grounds of sexual orientation. Changed policy to help transform Northern Ireland from a dependant financial relationship with the Treasury to a more sustainable one. Introduced legislation to help single parents back into employment and a radical new pension settlement to increase the number of people saving for the future. Worked tirelessly to resolve the situation with Remploy and was able to save an extra 15 factories to bring the total to 55 Remploy factories saved, providing a secure future for Remploy and its workers. As a former Secretary of State for Northern Ireland, Peter was welcomed to the Chairmanship of the British Irish Inter Parliamentary Body in March 2008. The body brings together representatives from the British and Irish Parliament along with representatives from the Scottish Parliament, Welsh Assembly, Northern Ireland Assembly, States of Jersey, States of Guernsey and High Court of Tynwald (Isle of Man). Peter was appointed to the Shadow Cabinet as Shadow Welsh Secretary and Chairman of the Labour Party National Policy Forum by Ed Miliband in October 2010. In 2010-11 he also led a review into party reform, Refounding Labour. Chairman, Donald Woods Foundation which does groundbreaking health and schools work in one of South Africa’s poorest areas. Trustee of the Listen Charity, fundraising for anti-poverty projects.